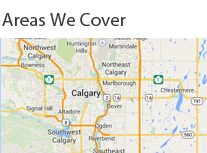 Why Choose Next Door Locksmith in Calgary? Next Door Locksmith is one of the best locksmith providers in Calgary. If ever you need to have an ignition switch replacement, you can fully trust our technicians who are licensed, bonded and insured. These people are all trained and qualified to fix any kinds of locksmith concerns, may it be for your vehicle, residential home or business properties. We understand that safety and security is your utmost concern that is why, we make it a point to give the best locksmith services at all times. Our office is open round the clock, which gives clients an opportunity to seek help any time of the day. If you are stuck somewhere because of your lock problems, we are just a call away. We serve all types of locksmith services even at the middle of the night or early in the morning. Our expert locksmith technicians are not only prepared to respond to your call, but they are also equipped with the best tools and equipments for fixing your lock and key concerns. At Next Door Locksmith, you are guaranteed to receive excellent and efficient locksmith services anytime and anywhere in Calgary.